Thank you for all the delegates who supported Nursing & Healthcare-2016 to make this event a grand success. The 2nd World Congress on Nursing & Healthcare, hosted by the SCIENTIFIC FEDERATION was held during December 01-03, 2016 at Tropicana Las Vegas - A Doubletree by Hilton, Las Vegas, USA. 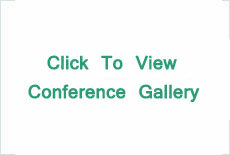 Nursing & Healthcare-2016 aimed at " Improving Health Globally Through Research, Education and Practice " and attracted delegates and invited speakers from over 23 countries including esteemed scientists, researchers from prestigious Universities and world class eminent personalities across the world. After the huge optimistic response from scientific fraternity and renowned personalities across the world, SCIENTIFIC FEDERATION would like to announce 3rd World Congress on Nursing & Healthcare to be held at Valencia, Spain during November 09-11, 2017. With the overwhelming support and acknowledgement from all the delegates of Nursing & Healthcare-2016, we wish to pioneer a way to another outstanding event. The Scientific Federation brings you an immense opportunity to be a part of scientific acceleration to world class personalities, young scholars, scientific delegates and young scientists to join in this forum to utilize the expertise and novelties that brings a new era for innovations in the fields of Nursing & Healthcare which brings well versed scrutinizers at one place. It provides a platform to have open discussions, knowledge sharing and interactive sessions with field experts at Nursing & Healthcare-2016. We request you to submit a brief idea or abstract of your talk/presentation/symposium/workshop according to your session interest. Please follow the format of our Sample Template. Conference sessions will bring you the latest strategies, research, and best practices to improve outcomes through quality, safety and staffing. 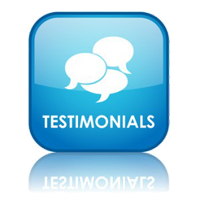 Attendees will learn from evidence-based research and discover innovations they can start using immediately. Join your peers at the only conference for nurses focusing on quality outcomes! Las Vegas, is the most populous city in the state of Nevada, the county seat of Clark County, and the city proper of the Las Vegas Valley. Las Vegas is an internationally renowned major resort city known primarily for shopping, fine dining and nightlife and is the leading financial, commercial, and cultural center for Southern Nevada. The city is one of the top three leading destinations in the United States for conventions, business, and meetings. In addition, the city's metropolitan area has more AAA Five Diamond hotels than any other city in the world, and is a global leader in the hospitality industry. Today, Las Vegas is one of the top tourist destinations in the world. 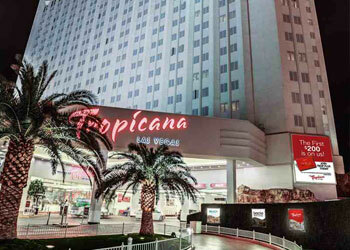 Experience the excitement of Las Vegas at the casually elegant Tropicana Las Vegas – a DoubleTree by Hilton Hotel. With acclaimed restaurants, premier entertainment options and unsurpassed service, this unique Las Vegas Strip hotel has a distinctive South Beach rhythm and vibe. Tropicana hotel was awarded eight 2015 Best of Las Vegas honors which include Best Locals Hotel, Best Hotel Room Value, Best Hotel Suites and more. Highlights of Tropicana Las Vegas – a DoubleTree by Hilton Hotel is Located on the Las Vegas Strip minutes from LAS Airport and top entertainment stadiums. Award-winning swimming pool featuring lush landscaping, waterfalls and whirlpools. Exciting 50,000 sq. ft. casino, Glow®, a Mandara Spa and world-class entertainment. Get exclusive casino offers and rewards with Marquee Rewards® and More than 100,000 sq. 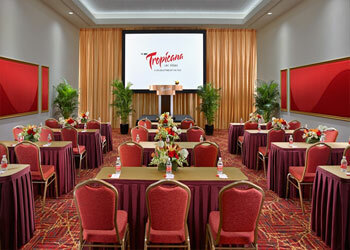 ft. of conference event space including indoor and outdoor venues. Set on the famed Four Corners with commanding views of the Strip, the new Tropicana Las Vegas – a DoubleTree by Hilton Hotel is perfectly located to allow you to discover the wonders of Las Vegas. 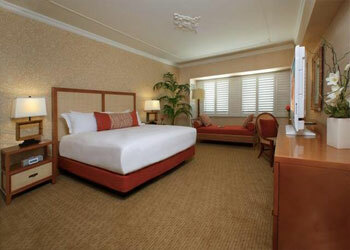 From gaming to relaxation, shows to shopping, enjoy everything vibrant our Las Vegas Strip hotel has to offer.